Easy View all the installed windows fonts and remove ergo uninstall, or install new font! Method 1 Windows 10 and all windows. 1. Open the folder "C:\Windows\fonts". 2. Remove the fonts, you do not need. Now install or uninstal the fonts that you need or not need ;) ! 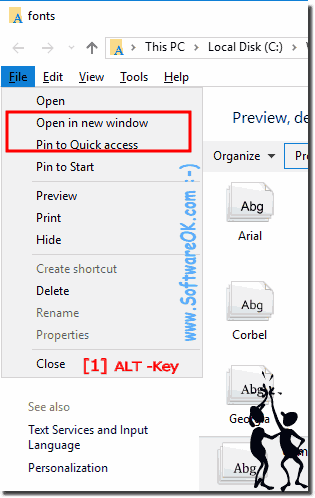 (Image-2) Font Folder Pin to Quick-Access or Start-Menu! 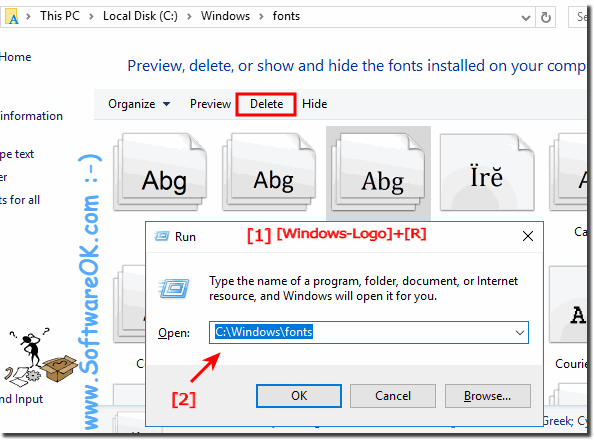 ► How to view and use the fonts without installing the windows font file? ► Where are fonts stored in windows 10 and font folder location? 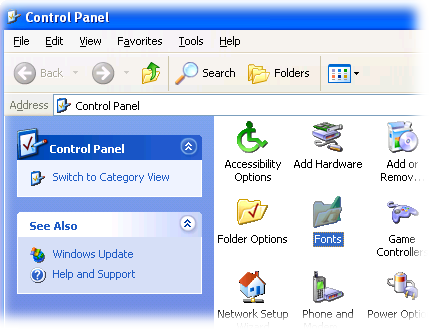 The Windows operating system allows you to centrally manage fonts that can be used by all installed applications. Instead of loading the data separately in Photoshop, Microsoft Word and some other programs, you can install a new font directly into the OS. After that, it will be available for use with any software. This article describes the process of installing new fonts in different versions of Windows OS: XP, 7, 8 and 10. System-General - FAQ-1: How can I installed fonts (fonts) remove,uninstall or install?